Born in Somerset, Rosalind studied at the Welsh College of Music and Drama gaining diplomas in singing and violin, and completed her training at the Royal College of Music where she was the first recipient of the Peter Pears Exhibition award. 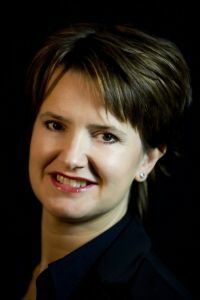 She has appeared as a soloist in concerts on the South Bank with the City of London Sinfonia, London Mozart Players and in concerts and recordings with London Voices, London Sinfonietta Voices, Monteverdi Choir, Musicians of the Globe and the Gabrieli Consort. Performances abroad have included Handel's Saul at La Chaise Dieu Festival, recitals and concerts in Israel and the US and Carmina Burana at the Schleswig Holstein Music Festival. Opera roles include ‘Nymph’ and ‘Proserpina’ in Monteverdi’s Orfeo (Kent Opera), ‘Una Novizia’ in a recording of Suor Angelica for EMI with Antonio Pappano and the Philharmonia Orchestra and ‘The Queen of the Night’ (Kentish Opera, Opera a La Carte). Rosalind was one of the featured voices in British Airways' advertising campaign and is much in demand for her studio work. Her film credits include A Christmas Carol, Ink Heart and Howard Shore's soundtrack "The Twilight Saga: Eclipse". She can also be heard with the RPO at the Royal Albert Hall accompanying a Japanese video game composed by Nobuo Uematsu. She is also a keen promoter of contemporary repertory, engagements including the UK première of new works by Philippe Manoury (with Strasbourg Philharmonic Orchestra) and by Benedict Mason, and recording works by David Snell and Nick Strimple (with London Symphony Orchestra) and Sofia Gubaidulina (for EMI under Rostropovich).